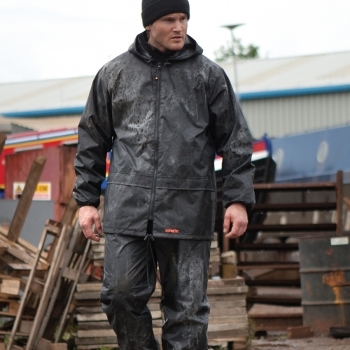 The Scruffs 2-piece waterproof rainsuit is made from rugged polyester fabric with a tough PVC coating. 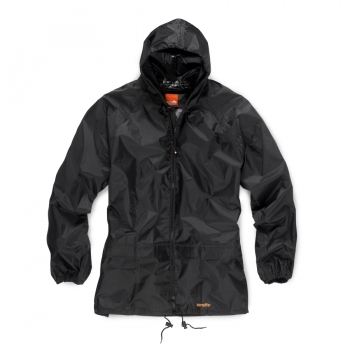 The jacket features taped seams, drawcord adjusters and a zip front with storm flap to provide a watertight solution when working outdoors. A back vent and underarm eyelets help to regulate body temperature. 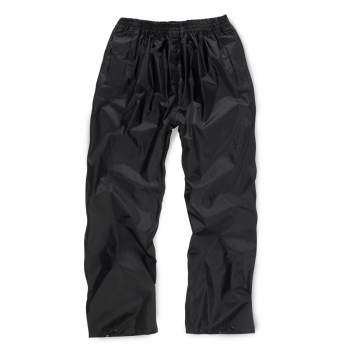 The trousers have an elasticated waistband, side entry pocket opening allowing you to acces your trouser pockets beneath and popper adjusters at the hem. The loose fit designs makes the rainsuit ideal for wearing over the top of your normal work clothes.